For a fairly long time in history, natural or handmade elements were used as coin all over the world. This was an almost obligatory technique for these peoples who did not habitually use money. For them this particular type of coin was used for commercial transactions, accumulating wealth and even took on a symbolic function since it allowed obtaining what could not be acquired with money. 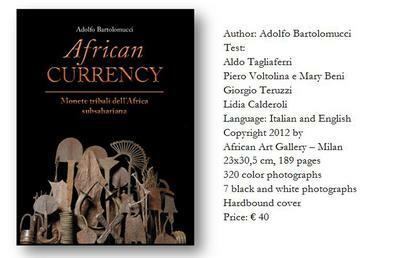 There is a wide-spread revival of interest in artifacts that served for many centuries as legal tender in Sub-Saharan Africa, and this richly illustrated catalogue, edited by Adolfo Bartolomucci, purports to present and investigate the extraordinary range of objects concerned. Contributions by scholars of African lore situate these expressions of native ingenuity in an historical context and document their connection to everyday living conditions and the beliefs prevailing among the different ethnic groups that produced them. The many questions raised by the monetary use of artifacts of this type were of necessity examined from different angles. The types of these primitive coins are as vast as they are varied; that is why the aim of this collection is to present a selection, taken from a much richer collection, which is not just for numismatic collectors but also for all the scholars who nourish ethnographic, historical and economic interests. 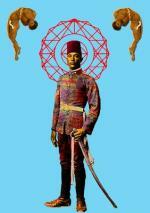 The objects come from different geographical areas of Africa: Guinea areas, Nigeria, Gabon, Congo. 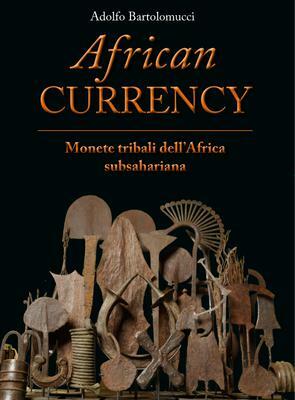 All the currency presented in exhibition, described in the book – 227 kinds, 361 pieces – is part of a collection belonging to the African Art Gallery of Milan. 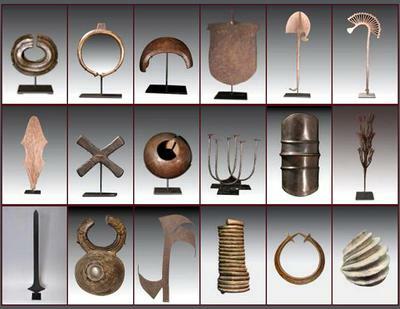 At the same time it is possible to visit two exhibition halls with a large selection of ancient African art objects from various cultures - in wood and bronze as masks, statues, objects of use, terracotta objects - numerous heads, busts and statues. All material is very important both in quantity and in quality. All collections are on sale.